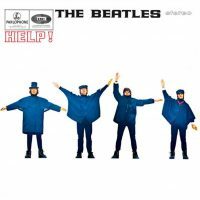 Written mainly by Paul McCartney, The Night Before was featured in the Help! film during a scene filmed on Salisbury Plain, England. McCartney most likely composed the song at the flat in Wimpole Street, London, owned by Jane Asher's parents. One of the song's most notable features was the guitar solo, double tracked an octave apart, and played by McCartney and Harrison. John Lennon, meanwhile, played a Hohner Pianet electric piano, which gave the song much of its drive. The Beatles recorded the song in just two takes, on the afternoon of 17 February 1965 at Studio Two in EMI Studios in Abbey Road, London. The session began at 2pm and ended at 7pm. Paul McCartney's lead vocals were double tracked. The song completed, from 7pm they turned their attention to George Harrison's You Like Me Too Much. That’s not quite right. We have a quote from Lennon: “George and Paul are playing the same break exactly, both playing but in different octaves” (Ray Coleman: “Here we go again”. Melody Maker, Feb 27 1965). So you should name both, George an Paul, on lead guitar! Well thanks for that! I never knew it was G&P together. Thanks for the quotation. Lennon says he doesn’t remember anything about it, but says he knows who played what on the recording. There was two quotes involved. One quote from 1965 and the second quote was from 1980. Fifteen years gone by can play tricks on the memory. This song always seemed like one of a pair with You’re Gonna Lose That Girl, especially the way the background vocals are arranged. Good song. I think this is one of the oft-overlooked gems from this period of their career. It’s overshadowed by a lot of their less lightweight material, but the Hohner and double guitars on the solo give it a great, unique sound, and I have to once again cop to being a sucker for the call-and-response vocals. I agree heartily with metzgermeister77 – this is a fantastic song from the Beatles’ mid-period. To me, it’s the VOCALS that drive this raver: Paul’s powerful, ragged-edge lead, augmented with John and George’s backup harmonies. Simply wonderful! Its one of my top 10 overlooked fav Beatles songs. When was a Beatle composed song just filler? There has been No act on this planet with more complete albums. They were to good realy. Has anyone else noticed that there’s a marked lyrical similarity between “The Night Before” and “Yesterday”? Think about it: “Everything was fine the night before, but now she’s left me & I’m regretful;” “Yesterday, all my troubles seemed so far away, but now she’s left me & I’m regretful.” I suppose it makes sense; the two songs were both written by Paul, at around the same time. Of course, “Yesterday” is about a hundred times more poignant-sounding because it’s a slow, sad ballad backed by a string quartet rather than an upbeat rock number. Really like the progressive 8-bar intro. Many of the intros and fade-outs they created are very catchy, like “I’ll Be Back”..many more, too. This is during the period of Paul’s relationship with Jane Asher which was deteriorating painfully for Paul. The songs, Things We Said Today, And I Love Her, The Night Before, You Won’t See Me, We Can Work It Out, I’m Looking Through You and the goodbye song. . Yesterday. This is such a catchy song by Paul. It is one of my favorites off the album ” Help!” and I love it in the film on the Salisbury Plain. George said how he’d felt like Rubber Soul and Revolver were like one big album. To me, if we are to pair off albums, I’d say Help and Rubber soul are that. And revolver could easily be a double album with Pepper. Paul was really inspired by this time . The night before another girl and that means a lot that was left out. it was a waste and a crime to left such a great song and not release it at least as flip side of a single . I think it was the biggest mistake they made. To me, this great song is the first Paul Mac vocal where he sounds like a grown-up. To me, also, this song has everything Beatle in it – call-and-response vocals, twangy guitars and, finally, a real groove as opposed to the very “square” sort of beats some of the Fabs were fond of. Harrison is daft when he says Rubber Soul and Revolver were part of one big album – the two discs couldn’t be any more dissimilar and it’s almost hard to believe one came after the other. Maybe he meant “Help” and “Rubber Soul,” which makes more sense. After all, in later years, sometimes, he couldn’t remember which album had which songs. Anyone else hearing what almost sounds like two bike horns in the into, bar 4 beats 3 then 4 , notes B and C leading it into the G7 ?You have to listen with headphones but something is there. And then later it almost seems to be answered , though this time it is obviously Pauls blues scatting, right before the guitar solo? Whatever the case these things are like little buried treasures . I’ve always wondered what those sounds were. To me it sounds like the one before the solo is one of them is saying ” bum bum”. Most likely another Beatle in joke. I was hoping someone would come up with a deconstructed/alternate take with isolated vocals or studio chat so maybe we could get a clue.